Happy Tuesday! I am so excited to be sharing this gorgeous Liberty State Park engagement session with you today. Meet Krista and Sal, one of my 2019 couples! 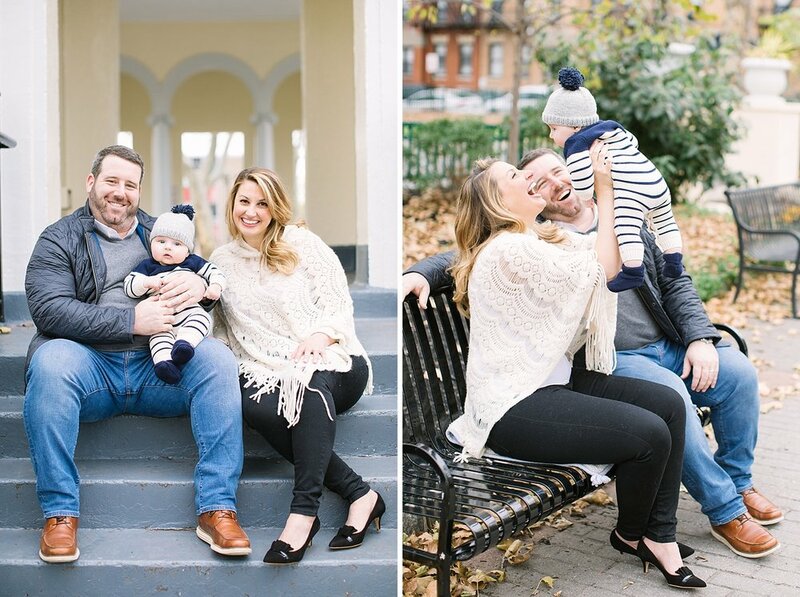 Krista and Sal met through mutual friends in Hoboken but didn’t connect right away. After a few months, they reconnected and grabbed drinks. When they both ordered a mango flavored margarita, they knew they were a match made in (margarita-filled) heaven! Before too long, Sal decided it was time to pop the question. While planning a house warming party for their new apartment, Sal said he was going to get ice but came back with a mini golden-doodle puppy instead, named Stanley. When Krista looked at his tag, she saw “Will You Marry Me?” and Sal dropped to one knee to officially propose. Krista obviously said yes and the two went to celebrate at a surprise engagement party by their family and friends! Krista & Sal will be tying the knot next September at the Ryland Inn. 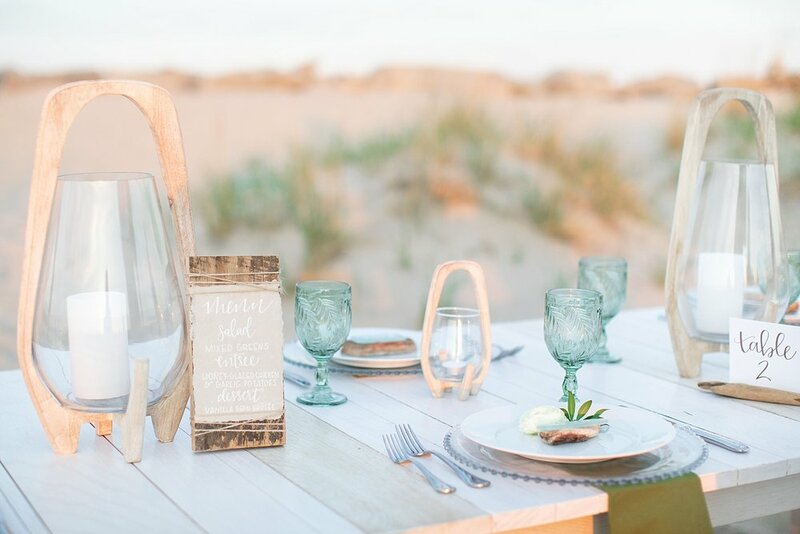 They’re planning a rustic-glam wedding day with navy, blush, rose gold and white details - plus a big wedding party! Of course, Stanley will be involved as the puppy ring bearer and Krista’s Godmother is going to be the ring bearer (she’ll walk with Stanley!). I can’t wait!!! I had such a great time with Krista and Sal at their engagement session and of course, loved getting to meet Stanley too! Here’s a few of my favorites from their session at Liberty State Park! 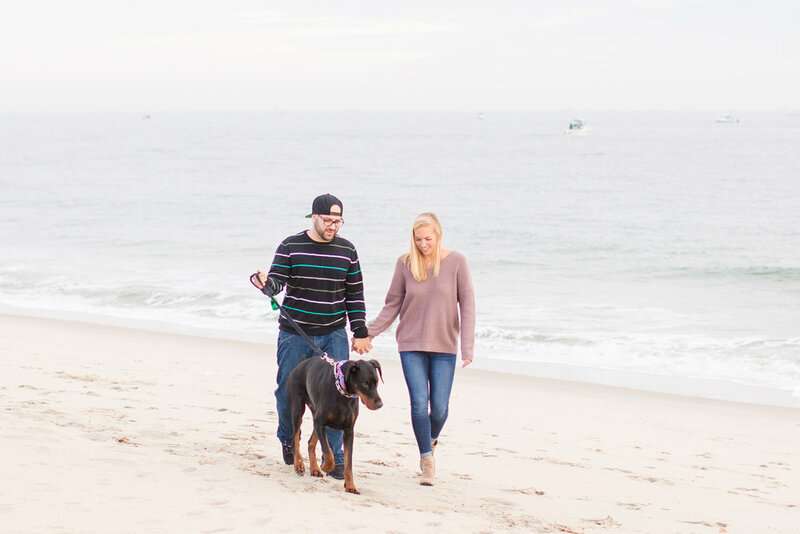 Lindsay and Kyle recently celebrated their engagement and upcoming 2019 wedding with me by having their engagement session at Sandy Hook Beach! These two have been together for 3 1/2 years after meeting on match.com! As they told me, they went on their first date at Pazzo and sat talking until they got kicked out at closing time... and the rest is history! Kyle proposed to Lindsay in April in their home. Lindsay was cleaning the kitchen because they were having friends over that evening and Kyle called her into the dining room and had a photo album on the table filled with notes that we have left to each other throughout our years dating. When Lindsay got to the last page, it had a list of important dates and the last date read "4/21/18 the day she said yes" and when Lindsay looked over, Kyle was down on one knee asking her to marry him! How sweet is that?! Lindsay and Kyle, I can't wait until your 2019 wedding at the gorgeous Battleground Country Club! 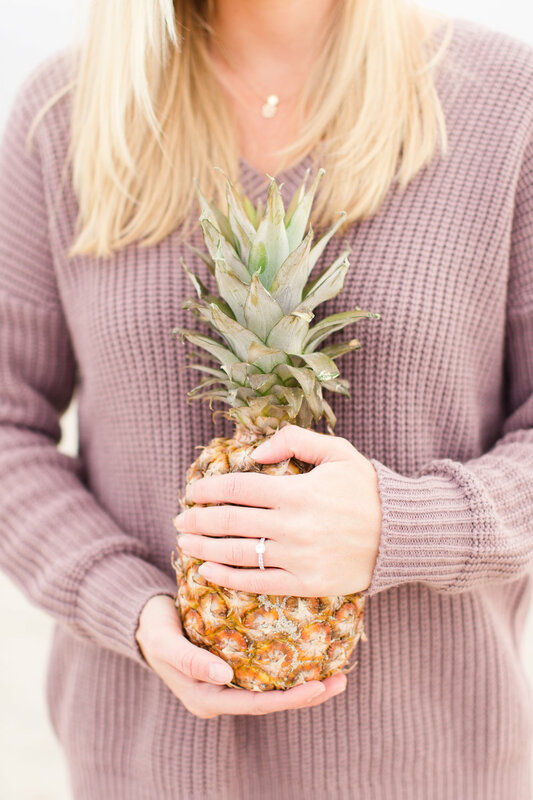 I am so excited to show off your engagement session!! 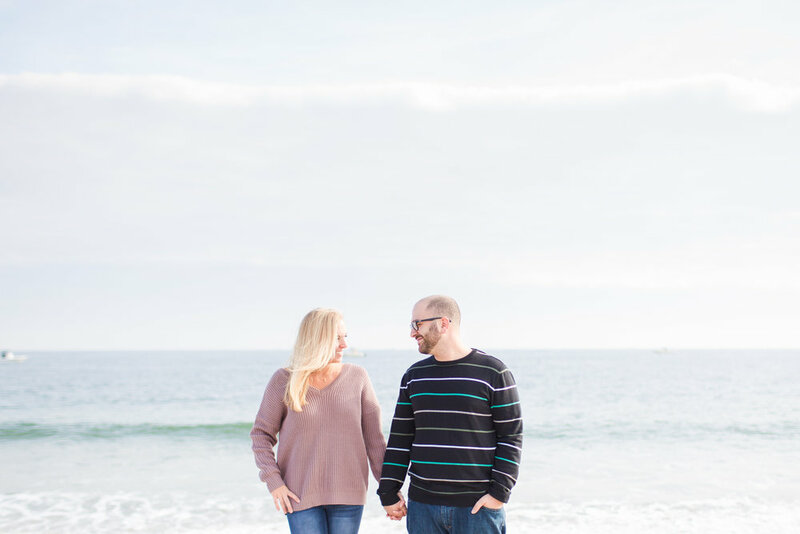 This beautiful sunrise engagement session is one of my absolute favorite sessions this year! Kat and Andrew are such sweethearts! We chose to do their engagement session on St. Patrick's Day in Washington D.C. among the monuments because the two of them actually met on St. Patrick's Day in a pub in D.C. It's so much fun when session location and dates have such special meanings to my clients! Although getting up for the sunrise can be hard, it was totally worth it - don't you just love the colors in these portraits? And the two of them picked the best outfits to stand out against the gorgeous monuments!! I hope you like this Washington D.C. engagement session as much as I do!